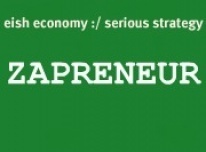 I have run Zapreneur (a website about economic inclusion in South Africa) for the last two years. I have focussed on just listening to what users what, and why they want it. On the 10 Feb 2013, the website will be two years old, and I am hoping to officially launch it. Hoping to use this class as one part of getting to launching on time. The intention is to build a website that helps South African entrepreneurs. On the advice of Ash, I have decided to conduct a couple of interviews focussed on defining the problem in greater detail. You gotta start with something, and this is just to meet the milestone for the course. Have done lots of thinking, and interviewed several users, done more analysis of existing data on usage patterns and mocked up several versions of the site. So looking to getting (a) a new canvas up and (b) getting the MVP. I have worked through a couple of versions of the lean canvas, and watched the lectures again. (i have posted my notes in the discussion section). I have also relooked at my user feedback for the last two years, and everything is just a bit foggy. The next step is to decide on a business model, and then crunch this project to meet the deadline. Now, I might just have something that looks like it could work. I have thrown out the advertising model, and thinking along the lines of creating a marketplace. Early days, but feeling good about the possibilities. Having chatting to a couple of people about this, the advice is to simply get something out sooner and focus on an even smaller set of features. Not sure what this means for my time, but it is good advice. I am also not certain if advertising would be financially viable, and a different revenue model might be considered. A bit worried that I might not meet the deadline, but will see how it goes. Project Aim - Finding out if an advertising business model can work on Zapreneur. Project Phase - First round of customer interviews and analysis of data has been completed prior to the course. 29 Jan - Local Wordpress installation, with plugins, and coding complete. Establish small group of advisors, and email existing users. 31 Jan - Choose the smallest set of features. 1 Feb - Work through the site user interface, and make initial decisions. Small test with two people using the local installation. - Email existing users about the changes that are going to happen. - Indicate to social networks that the site is changing. post screenshots. - make small list for developer to implement (if any changes at all). - send email to 5 advertisers asking for them to advertise. 4 Feb - Media strategy. Meet with designer. 5 Feb - Do the about page, legal page, etc. - upload content to the live site, but keep in maintanance mode. 6 Feb - Test the site - get logged in users to play around with the live site. Identfy four key users who can advise on the site. Make crucial changes, and others keep as a list. 7 Feb - Exclusive announcement to existing users to login and take a look. Phone about 10 users, and ask them specifically to answer a couple of questions. Make important changes. Finalise ads with advertisers. 8 Feb - Open site (yes I know it is a Friday). 9 Feb - Launch plan operationalised (Use existing list). 10 Feb - Go through everything in the site. Get family/friends to point out anything that is wrong. 11 Feb - Send out promotional emails. Promote site during the day. If there is a 10% increase in subscriptions and 80% of ads are sold (on day 1), then this is a go. If not, it is time to rethink.